Nexdim Empire » Blog Archive » KTOWN CONNECTION : Simply Epic ! KTOWN CONNECTION : Simply Epic ! 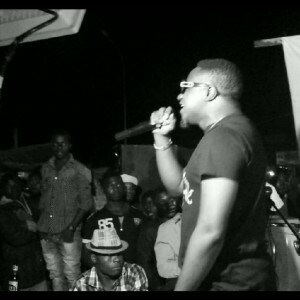 Kumba, on Sunday 26th hosted an electrifying urban music open air concert dubbed “Ktown Connection” organised by General Toxzik . The beguiling event which featured la creme de la creme of South West based Urban artists like Steveslil, Big G, West Don, LOL, Ewube , Dago P, Mic Monsta, and other talented budding artists like Fuse Hardman, Ivonik, Toshi de la gare, Raaz B, Fuse Hardman and Congolais Boy gathered a crowd of over 1000 at the Banga School venue. 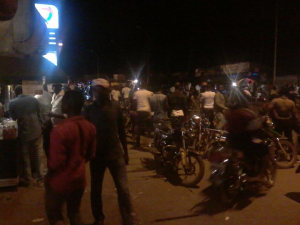 The event had the aim to showcase talents and promote the urban music culture in that part of Cameroon. Talking to the organiser, he was so elated that the first edition was a considerable success and he is looking forward to organising the second edition before the year fades out. The show was hosted by Mc Mulango and energized by DJ Dirtsman and DJ Bisou.